A common procedure for anesthesiologists is giving an epidural, usually for expectant mothers in labor or for other surgical procedures of the lower body. This procedure requires a needle, a glass syringe, and steady hands. The provider will insert the needle into the patient’s back while the patient is either sitting up or laying on their side while they are awake. Once the needle is inserted about an inch, a glass syringe is connected to the needle and pumped with air. The anesthesiologist taps on the glass syringe in order to feel a pressure loss. This tells them if they have reached the epidural space, which is where the medicine will be inserted. If there isn’t a pressure loss, they move the needle in millimeters at a time. They must keep the needle straight and the glass syringe attached, which can be challenging for someone with smaller hands. Also, at times, longer needles need to be used depending on patient characteristics. The current failure rate of epidurals as a result of misplacement is 14% which costs hospitals in the United States upwards of 2 billion USD per year. According to a study published in Obstetrics and Gynecology, since the epidural space is so small, it can be easy to push the needle past it and puncture the dura or end up “within the subcutaneous or other paravertebral tissue, in the subdural space (between the dura and arachnoid), or in an epidural vein”. 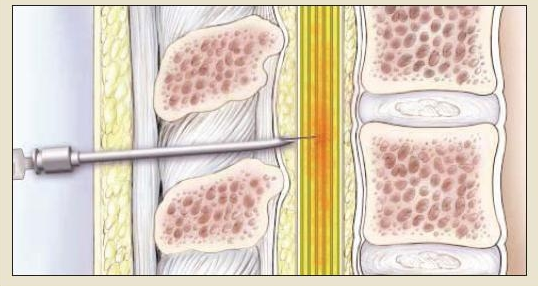 If the dura is punctured, as shown above, spinal fluid will leak out, giving the patient headaches and a lot of discomfort. There are many faults to the procedure, including subjectivity of a provider’s perception of pressure, as well as the steadiness of their hands. It is not possible to create a standard based on the anesthesiologist’s tapping force and speed and insertion force since these vary depending on the anesthesiologist. As a result, the current failure rate of epidurals as a result of misplacement is 14% which costs hospitals in the United States upwards of 2 billion USD per year. This procedure is very delicate given the fact that it’s in the spinal cord area and is done on patients who are awake and able to move. This makes it very important for the anesthesiologist to be precise when inserting the needle, but that can be hard when relying on a process that is subjective and very ambiguous. 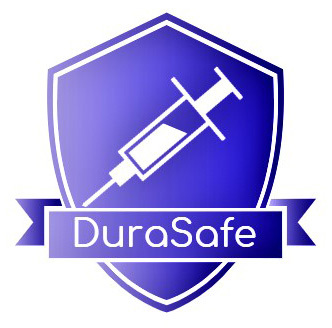 The primary objective of DuraSafe is to implement our solution which will remove the subjectivity of the current epidural procedure. Our product will allow for ease of use by any anesthesiologist and will diminish the puncture of the dura during the procedure to ensure patient safety as well as the comfort and confidence in the procedure.